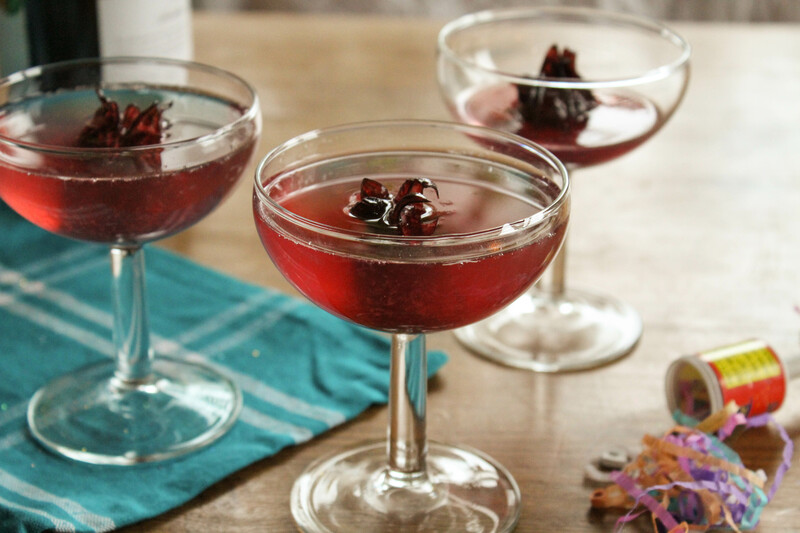 A twist on the classic French 75, this cocktail uses wild hibiscus syrup in place of the classic simple syrup. Hibiscus is such a lovely flavour – rather similar to raspberry – and the flowers are so beautiful (as well as being edible). You can buy them here, or try your local deli. 1. Stir together the gin, lime juice and hibiscus syrup in a jug; chill for at least 10 minutes. This part can also be done in advance for maximum ease! 2. 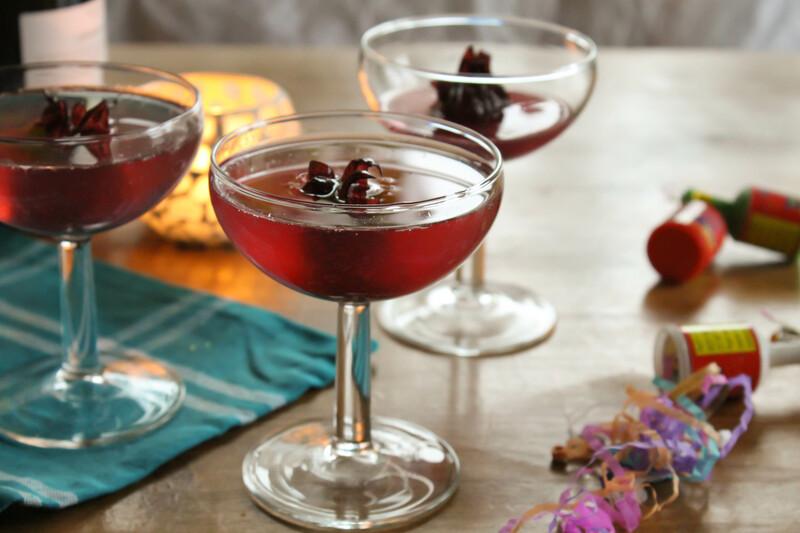 Pour the gin mixture into a chilled cocktail glass and place a hibiscus flower in the centre. Top up with champagne. Throwing a New Year’s Eve party? 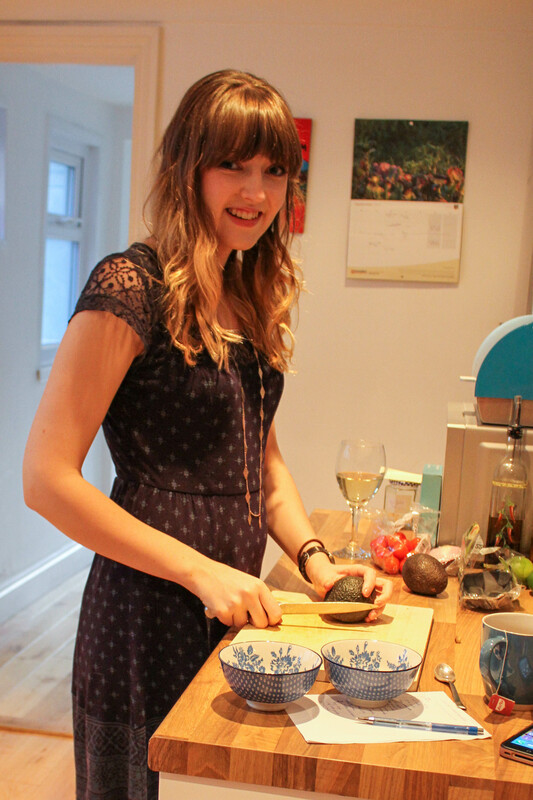 Why not rustle up some mini pesto pastry swirls and griddled courgette salad – or homemade guacamole and hummus? Whatever your plans – I hope you have a wonderful evening. A very happy 2016 to you all!